Aug 2013 | A "Comedy Experience" that is never the same twice! 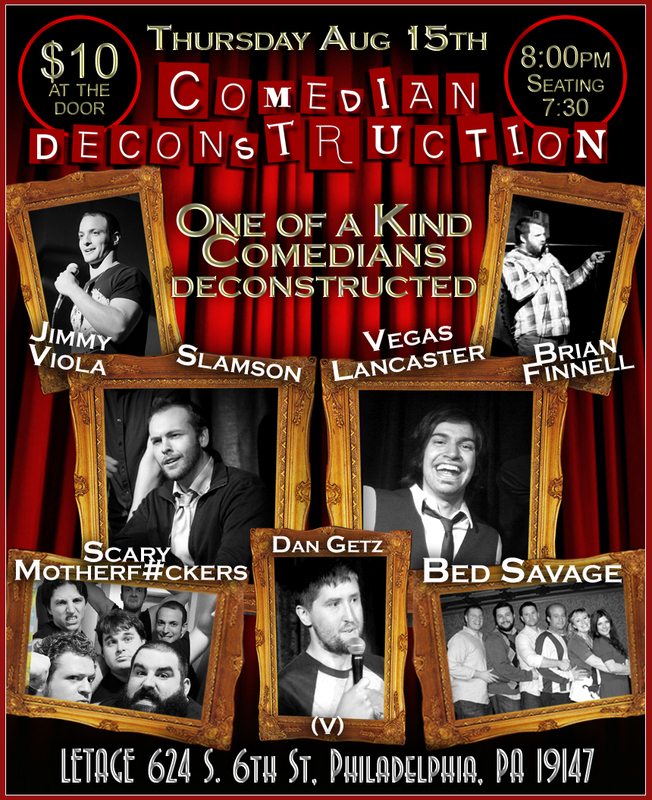 The Deconstruction of comedians / improvisers Slamson and Vegas Lancaster is what up this Aug 15th! We cant for get to show you what Philadelphia has to offer with our local funnymen Jimmy Viola and Brian Finnell two hot Philadelphia comedian! There is a boat load of talent on this show and on top of that we still have our comedy Virgin Spot we offer a new comedian that has not performed for an audience a chance to step into the spot light. 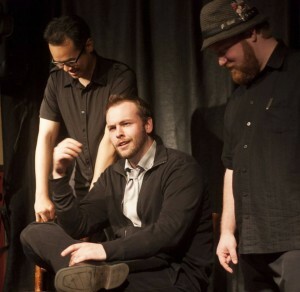 , a Visiting improv team who are something not to be missed and we cant have a show without Bed Savage! 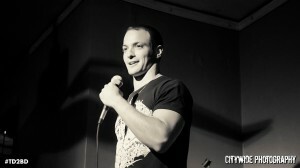 Jimmy Viola is stand-up comedian, sketch director and improviser. 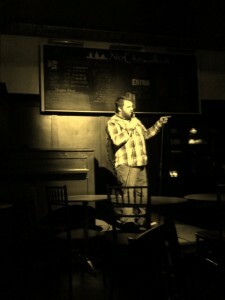 He hosts Chaos Comedy, a free monthly stand-up comedy showcase at the Adobe Cafe in South Philadelphia. He also performs with the long form improv teams Bulletproof Giraffe and Scary Motherfuckers, and his sketch videos have appeared in the web series Down the Show. Jimmy was born in New York City and grew up in the Poconos before relocating to Philadelphia for college at Temple University. He’s appeared on Japanese television, unsuccessfully fought in a cage match, and has listened to thrash metal since he was 14 years old. You can follow Jimmy @JimmyValhalla on Twitter. Matt Lamson aka “Slamson” has been performing live comedy for the past three years in the greater Philadelphia area. Having started in the field of improv, he then moved to sketch, and has recently begun doing standup at open mics and various shows in town. And does this guy have stories to tell! He grew up as an only child in a middle class suburban neighborhood with two loving parents and almost any modern commodity a nurturing environment can provide so, you can probably see how zany this guy will be. On occasion, he’ll bust out the guitar for some sing song jokes, and trust me, he’s just like that guy at parties who plays that Oasis song Wonderwall that everyone knows and loves so much. Keep an eye out for this original gem! Scary Motherf#ckers are comprised of the most physically imposing performers in the Philadelphia area, if not the world. 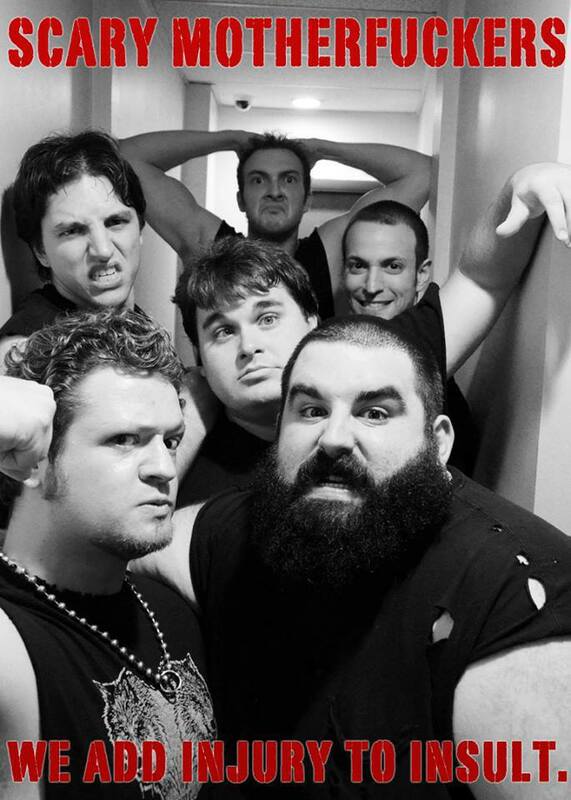 Scary Motherf#ckers are Joe Gates, Mike Butler, Tim Rinehart, Steve Grande, Dan Higgins and Jimmy Viola.